Yogi Bear is a cartoon show that I've watched when young but since that was a long time ago, I can't remember much about it. This movie serves as a refresher for me. 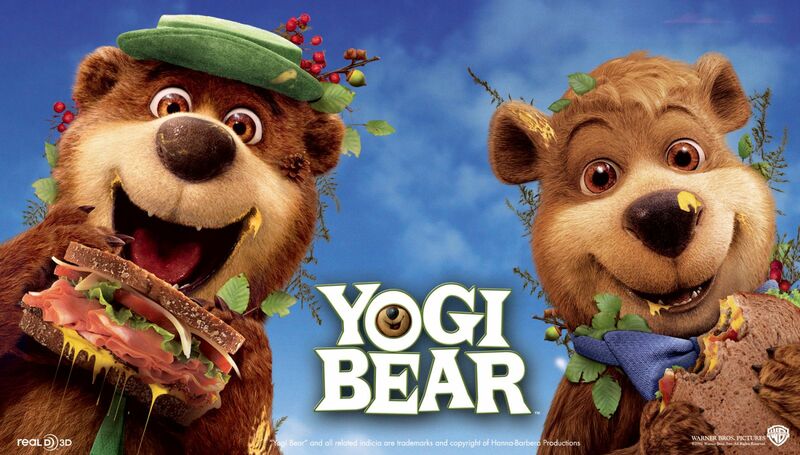 Thanks to The Star for the complimentary passes, I managed to catch the Yogi Bear movie on it's last week of screening at GSC. It's about the corruption of the mayor in the town and due to the deficit of money that the mayor has been lavishly spending on, he decided to close down Jellystone Park (the place that houses Yogi Bear and Boo Boo) and sell it to developers so that he can make money and to top it all off to ensure that he gets votes in the coming election, he's gonna allocate $1000 to each and every citizen of the town. Due to this, Ranger Smith, the caretaker of Jellystone Park, decided to come up with an idea so that Jellystone Park will make profit instead of always losing money which in turn the mayor will be forced to keep it opened. So Ranger Smith thought up of a centennial celebration of Jellyston Park in which a discount will be given to purchase the season passes to the park. 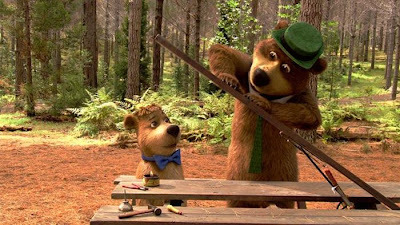 But, as usual, encouraged by Ranger Jones who schemed for the failure of this plan so that he can be made head ranger, Yogi Bear somehow messed it up by getting involved in it. After the flop of the plan, they'll need to find another way to save the park. What will it be? See the movie to know! Of course, it's no longer showing, so probably through DVD or something, haha. The movie was quite average but it does bring back childhood memories. 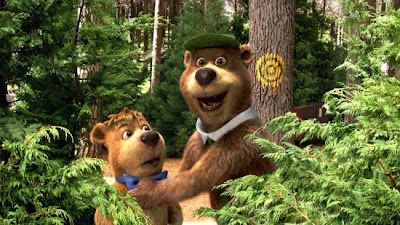 It's weird seeing a 3d animated Yogi Bear and Boo Boo in the movie since we're all used to the cartoon version of them. But nonetheless, it's an enjoyable show and a family wholesome one. It's also weird to know that Justin Timberlake did the voice of Boo Boo. And so I rate this movie 3 stars out of 5. Boo Boo is very cute in the movie. LOL. But I feel they look funny when they're not cartoonish. LOL. You are Boo Boo crazy.